I’ve looked at ways to measure, study, and teach vocabulary for a long time-- but with a fresh interest now as a new school year is about to start. I’d like to share a few of the best sites I’ve found, as well as a short discussion of icebreakers for new ESL classes and some related personality or character vocabulary worth knowing. There’s even a link to a site that can convert difficult text into words at your level. A number of websites offer to measure your English vocabulary level, but the best I found (and by far the quickest) is Test Your Vocabulary. It gives you two lists of words and asks you to choose the words that you know. The first list jumps quickly from very common to less used and then uncommon words. It finds your approximate level. Then you get a longer list of words at about that level to get a more exact score. They have tested this list with a large number of people, both native and non-native speakers of English, so they can provide interesting insights into different levels. My Vocabulary Size offers a somewhat similar test— which teachers can customize for their classes, then “simply download the result.” I wouldn’t recommend it for checking your personal level because of the length of the standard test. (I tried it and it seemed endless). However, it might be a great option (once customized) for ESL teachers needing to know more about their students’ starting levels. Rewordify is a great site if you want to read something that’s a little too hard for you right now. It will rewrite difficult text more simply (at different levels—choose what works for you.) It also provides pronunciation of highlighted words and definitions of any word in the text. If you teach ESL and need an icebreaker or two for a new class, I really like the suggestions from Cult of Pedagogy, especially because she considers the reluctance of teen students to seem different. She points out how that can lead to “safe” rather than honest answers if icebreaker questions seem too personal or “risky.” She proposes low-risk ideas that can still encourage students to begin to get to know each other. 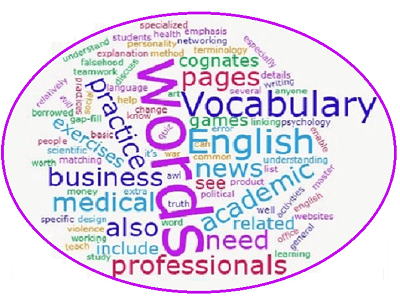 To practice personality vocabulary (or find a shorter list of words specifically useful for job interviews and resumes), see EnglishHint’s Personality page. I’ve been working to improve English Hints in several ways: adding more practice and linking between different skills, a new site design and more images, speed improvements (an ongoing project), site security (https) & GDPR-compliance. Let me know what you think—or if you see a problem or a need you would like addressed. Are there any topics you would love to read about (or practice vocabulary for) in English? You can just click ‘Reply’ to this newsletter to send your thoughts or suggestions.